I have taught beginner classes in American universities. I can provide very useful Japanese expressions for travelling. I have had a lesson about travelling Japanese for an American learner. Also according to my experience of travelling non-English speaking countries, I know what phrases are needed. Hello, all. 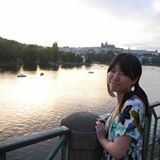 I am Miki, a Japanese language tutor from Japan. I am a native speaker and fluent in English. I have six-year experience of teaching Japanese, three years in American universities, one year in a Japanese university, and two years individual/online. I love travelling, chatting with people, reading, watching movies/theater plays, eating, exploring new cultures. I am passionate about learning new languages, teaching languages and knowing new cultures and people! I taught Japanese language in the colleges in the USA for three years, mainly teaching conversation sessions. In the Japanese university, I taught a writing/reading class for a year. After moving to the Czech republic, I have had individual lessons online as well as have taught English to younger learners, thus, I am capable of teaching to both adults and younger learners. I have teaching certificates in both Japanese and English and have recently finished my master program. My teaching approach is interactive and communicative. I am also able to make a profile of each learner, therefore, I can create lessons for individual preference. I always prepare a lot of materials and many kinds of activities so that learners can enjoy lessons and use language in various situation. Also, I prepare some pictures or short passages and talk about the "today's topic" in the first 10-15 mins. However, I am flexible so I will create lessons while consulting with learners!